1) What is Cross Browser Testing? Cross Browser Testing is a type of Test to check that our Web Application works as expected in different Browsers. 2) Why Cross Browser Testing? A web application can be opened in any web browser by the end user, So we need to ensure that the web application will work as expected in all popular browsers. > Selenium WebDriver supports Browser compatibility tests on almost every popular browser, including Chrome, Firefox, IE, Opera and Safari. > The WebDriver API drives the web browser as the real user would drive it. > By default, Firefox driver comes with selenium-serverstanalone.jar library added. > For Chrome, IE, Safari, Opera, there are libraries that need to be instantiated externally. 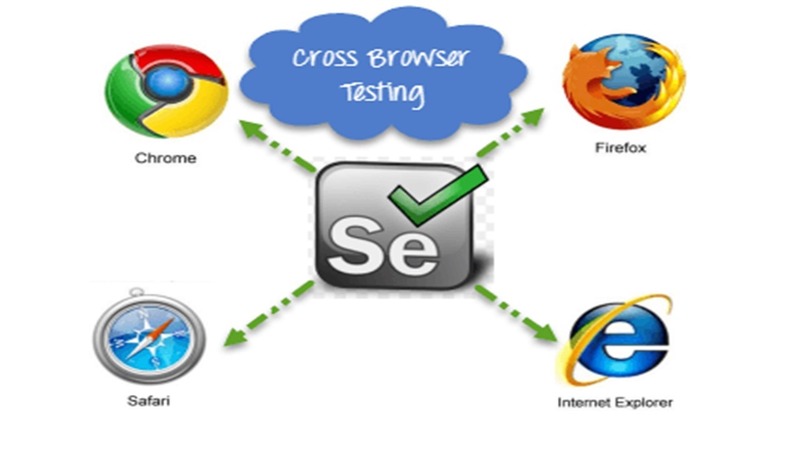 5) How to Conduct Cross Browser Testing using Selenium WebDriver? a) Element Locators – Same for all Browsers. b) WebDriver Methods/Commands -Same for all Browsers. c) Programming features (Java/C#/Python/Perl/Ruby/PHP) – Same for all Browsers. d) JUnit / TestNG Annotations – Same for all Browsers. e) Browser Driver – various from one browser to another. Note: For Mozilla Firefox, just create the driver, For other browsers, libraries that need to be instantiated externally. 7) Create a Test Case and Execute using Mozilla Firefox, Chrome and IE Browsers. Test Case: Verify Launch Application (Google) functionality in Firefox, Chrome and IE Browsers. 8) Create a Test Case and Execute using Mozilla Firefox, Chrome and IE Browsers Continuously.